Zeta is about 2 years old and was first surrendered to CPL a couple of months ago because her owner was unable to continue with her care. 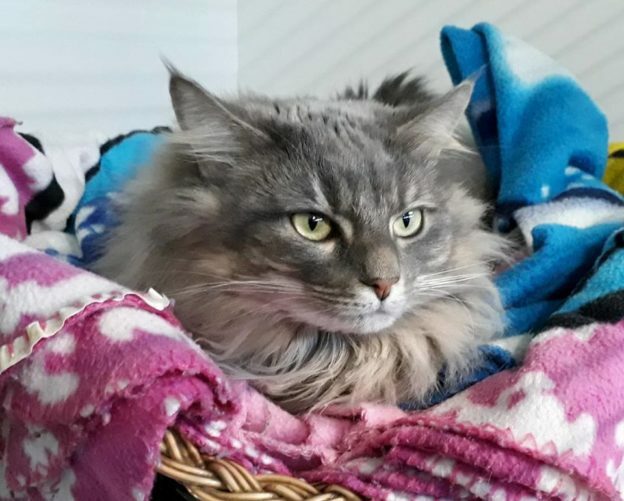 She has had two attempted adoptions but has been returned both times. Zeta is a friendly, assertive cat but she can lash out when frustrated, so she will best suit as being an only pet in an adult home. Her new owner will need to have previous experience of short tempered cats and be able to handle the difficult first few weeks while she settles in. We think she will do better where there is plenty of space for her to let off steam. Zeta will need regular grooming. She is prone to bladder infections when stressed and will need a special urinary or calming diet to help with this.